Hiking through Scotland’s heartland; mountains, canals, lochs, coastal paths. 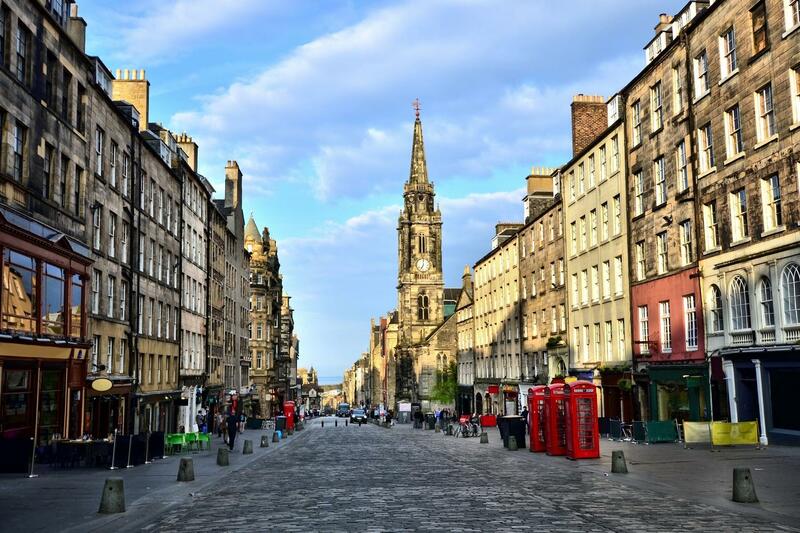 Exploring iconic Edinburgh with its castle, museums, galleries and restaurants. Peaceful flat walking along the Forth & Clyde Canal, visiting the Falkirk Wheel. 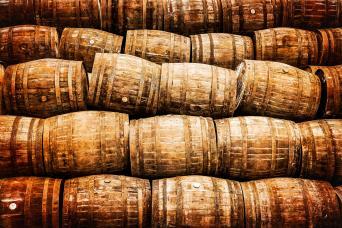 Sipping a wee dram or two of whisky from local distillery Glengoyne. Relaxing by the banks of bonnie Loch Lomond, and perhaps taking a boat trip. This coast-to-coast trail across the heart of Scotland celebrates the life and work of inspirational conservationist John Muir (1838-1914). 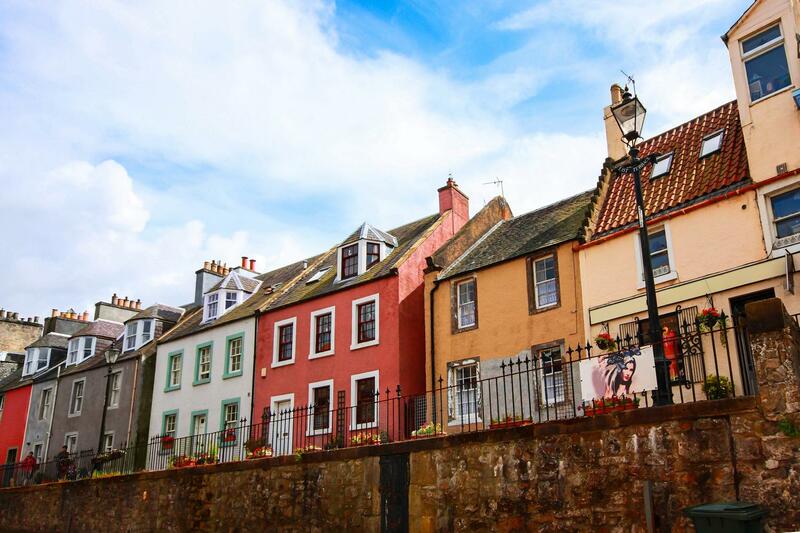 Experience mountains, lochs, canals and coastal scenery as you walk west to east from the shores of the Clyde at Helensburgh via historic Edinburgh to Dunbar, Muir’s birthplace. Highlights along the way are picturesque Loch Lomond, the engineering feat of the Falkirk Wheel, the lagoons and sandy beaches around the Scottish Seabird Centre at Berwick, and of course Scotland's historic capital - Edinburgh. Your Scottish long distance trail starts on the west coast, at the lovely town of Helensburgh, nestled on the banks of the Clyde. It was from this area that an 11-year old John Muir set sail well over a century ago, bound for North American shores. Helensburgh is known for its grand houses and in particular for the Hill House, an icon of design created by renowned Art Deco designer Charles Rennie Mackintosh. If you have time, a visit to the house is well worthwhile before you set off on your journey. Once in the hills enjoy fabulous sweeping views of your next destination, the bonnie banks of Loch Lomond, shimmering against the backdrop of the Loch Lomond and Trossachs National Park. Descend to Balloch, and perhaps take time this evening for a stroll alongside the water or if you arrive in the afternoon, take an optional paddle steamer or boat trip out onto the loch. An early start is the order of the day as today is the longest stretch on the John Muir Way, but also one of the most rewarding. 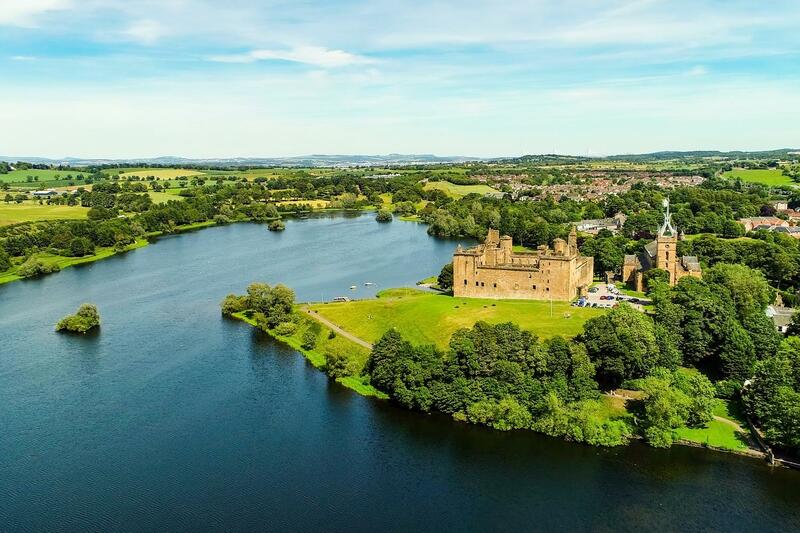 Begin with a stroll through Balloch Castle Country Park, admiring views over Loch Lomond, before you cross through forest plantation which opens up to fantastic views of the Lomond Hills. Follow the path which skirts the edge of the Burncrooks Reservoir, through woodland to the Carbeth Inn and Huts. 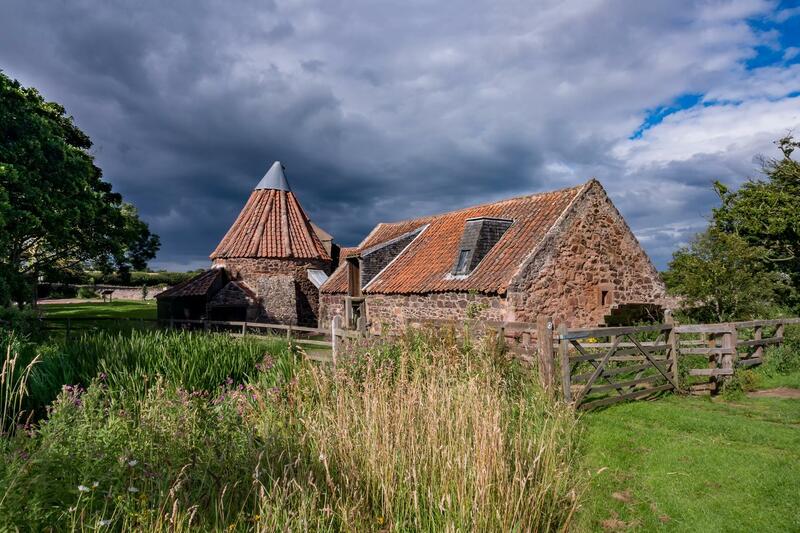 Originally formed when camping rights were given by the landowner to soldiers returning from WWI, the huts developed as Glasgow folk sought the fresh countryside air. During WWII the huts housed evacuees from bombed-out homes. Continue to Strathblane, where you can relax and perhaps reward yourself with a wee dram of local whisky. Overnight: Near to Strathblane (a transfer may be provided to/from the end/start of the walk). Note - if you wish to cut this long day into two sections, then we can happily add an extra night for you at the lovely village of Killearn; just get in touch. You’ll be walking in view of the dramatic and rugged Campsie Fells today, as you follow the trail ever-westward to Kilsyth. Today’s hike is just 13 miles, and with lovely open stretches on good tracks. Kirkintilloch’s historic town centre is the ideal stop for elevenses, before joining the classic Forth and Clyde Canal for a lovely stroll along the flat canal path. Head up and over the 2,000 year-old Antonine Wall on a steeper path to find a Roman Fort at Bar Hill. Finally arrive at Auchinstarry Marina where you can enjoy great British 'pub grub' and replenish your energy. Enjoy a lovely walk along the Forth and Clyde Canal, once a busy shipping link between the Firth of Forth in the west and the Firth of Clyde in the east, but now a haven for fishermen and canal boats. 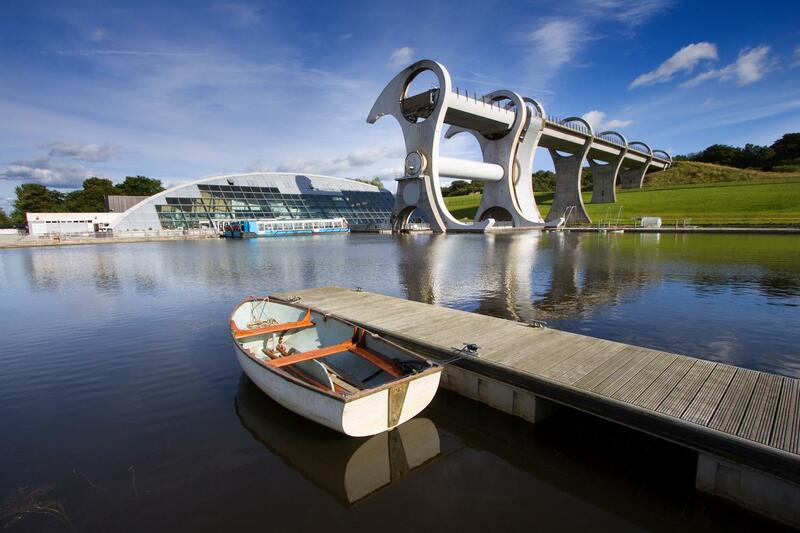 Walk by the incredible feat of engineering, the Falkirk Wheel, the world’s only rotating boat lift which joins two canals across Scotland - it has to be seen to be believed! Meander along the canal on pleasant grassy tracks and join the River Avon Heritage Trail. Arrive at historic Linlithgow, birthplace of Mary, Queen of Scots. This friendly and charming town offers a lovely high street with good facilities, where you’ll find a blend of old and new. Visit the preserved ruins of the Royal Palace next to Linlithgow Loch. At Annet House Museum & Garden you can see a permanent exhibition dedicated to Mary, Queen of Scots. Head towards the coast as you leave Linlithgow and stroll through rural countryside. Follow in the foosteps of fishermen’s wives who hauled their catches along the Fisherrow. Bo’ness is a lovely historic town where you’ll find 16th century architecture, a steam railway and Scotland’s largest railway museum. Continue along the coast to Blackness Castle, a 15th century icon now maintained by Historic Scotland. 17th Century Hopetoun House Estate is the ideal spot to take afternoon tea and rest your legs. Reach the southern end of the Forth’s road and rail bridges at South Queensferry. Here you can relax with views over the harbour and pick a fine restaurant to sample the freshest fish from Scotland’s waters. From Queensferry, pass by the coastal Dalmeny estate (home to the largest Napoleonic collection outside of France) then you’ll soon encounter the outskirts of historic Edinburgh. Negotiate through Edinburgh’s streets and if you have time, visit the Castle as well as the capital’s museums and galleries. As today’s walk is only 10 miles, you might like to spend more time this morning discovering Edinburgh before setting off towards Prestonpans. Head towards Musselburgh where you’ll reach the coast once more. The Musselburgh Ash Lagoons and sandy beaches provide the ideal feeding ground for visiting birds, including Redshanks, Dunlin and Eider Ducks. Follow the coastal route (past where the recently demolished Cockenzie Power Station once stood) and you’ll soon come to Seton Sands with stunning long beach views. 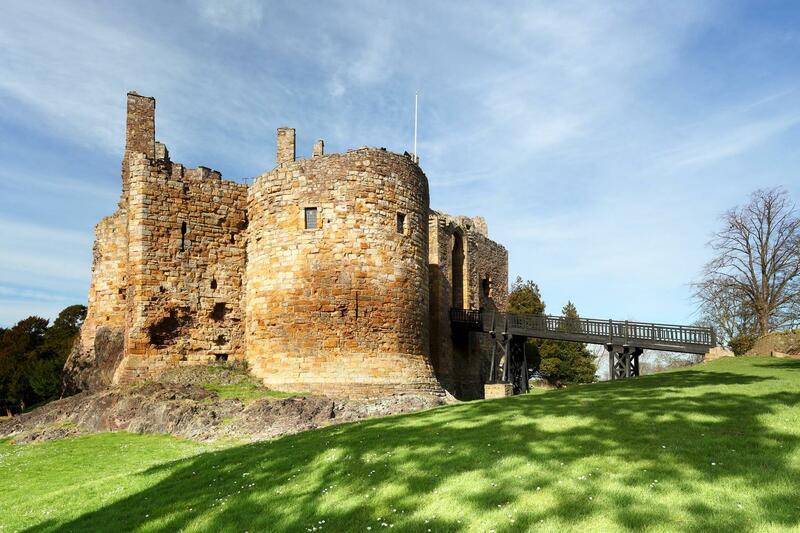 From here, you may wish to stop at 400-year old Dirleton Castle; note that its towers date from 1240 and are amongst the oldest castle ruins in the country. Turn back to the coast at Yellowcraig, before reaching the seaside town of North Berwick. A must-see is the award-winning Scottish Seabird Centre here, and find out more about the folk that would have lived alongside John Muir at the Coastal Communities Museum. Heading south again, perhaps take the (optional) climb up to Berwick Law for stunning 360 degree views over Edinburgh and Arthur’s Seat to Tantallon Castle, with its seaside position. 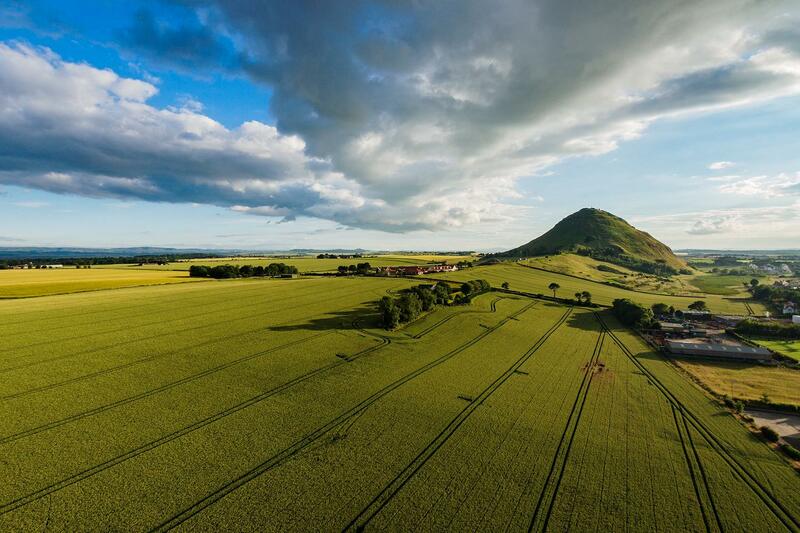 On your final day’s walk you’ll be on country tracks and quiet inland roads which lead first to East Linton then on to the John Muir Country Park. 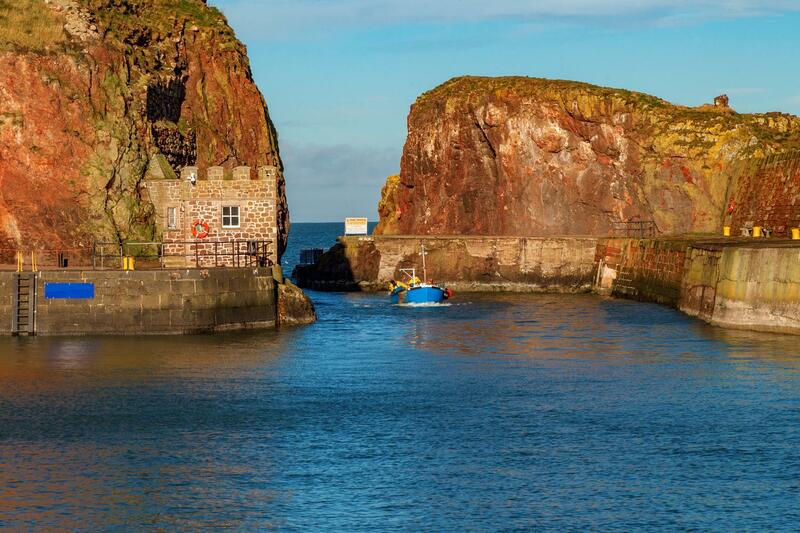 Walking through landscapes close to where John Muir spent his early years, enjoy the wild beaches and crashing waves as you trace the path high along the cliff-tops then descend to Dunbar and John Muir’s Birthplace Museum, marking the finish of The John Muir Way. Your tour ends after breakfast today and you can make your journey home or continue your travels in Scotland. before confirming your booking (and transfers may also be provided). Our expert Scotland team will liaise with your accordingly to make sure you have the best possible experience. 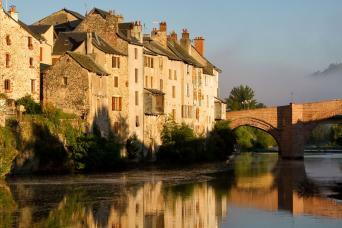 This tour is available to start any day of the week, between Easter/April and end September. 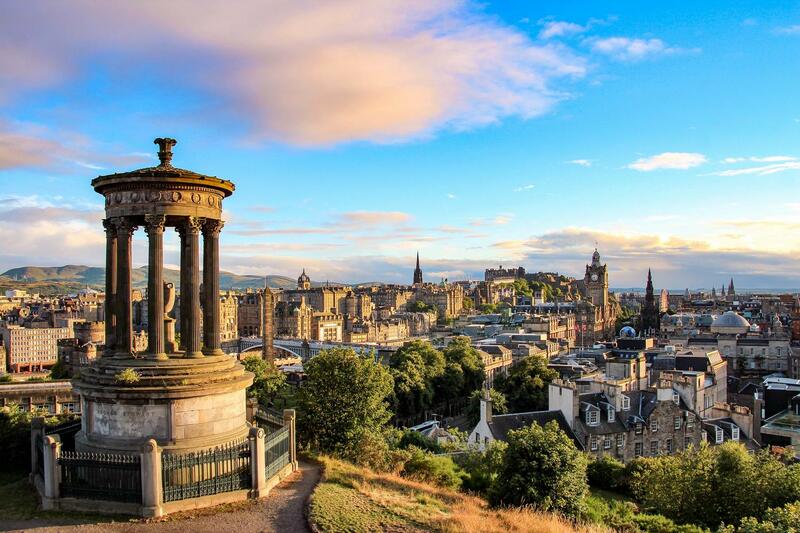 If you are planning on travelling in August, please bear in mind that Edinburgh is very busy for the whole month (due to the Tattoo and Festival) and prices may be higher. This holiday is available to solo walkers, although a solo walker supplement is payable (due to the fact that you are not splitting the cost of the room with another person). If you require single rooms within your party we would be happy to accommodate your request, although it is not generally possible to secure more than three single rooms in a party. A single supplement is payable. the most from this tour. The distances and ascent/descents are approximations of the recommended routes. Please be prepared by packing necessary items for example proper rain gear (jacket and pants), sun hat and sunscreen. Your information pack has a detailed equipment list which includes standard walking gear such as good walk boots, warm and waterproof clothes for the cooler months and lightweight clothing for the summer and also a day pack. By Air: For international travellers Glasgow and Edinburgh Airports are are the most convenient. From Glasgow Airport there is a shuttle bus into the city centre (25 mins), and from Edinburgh Airport you can take a shuttle bus into the city centre (30 mins) or to Glasgow (60 mins). By Train: Helensburgh is easily accessible by rail from Glasgow city centre (45 mins). Returning from Dunbar, it is 30 mins to Edinburgh and 1h30 approx. to central Glasgow. Trains between Glasgow and Edinburgh are regular, duration approx. 50-60 mins. Visit www.nationalrail.co.uk for timetables and tickets. By Car: Helensburgh is 32 miles (45 mins) north of Glasgow off the A82. Parking (not secure) is available in Helensburgh. By Air: For international travellers Glasgow and Edinburgh Airports are are the most convenient. You can catch the train to Glasgow airport which takes approx. 3 hours or the train to Edinburgh which takes approx. 2 hours. By Train: Dunbar has great transport links. Glasgow city centre is approx. a 2 hour journey and there are trains throughout the day. Edinburgh city centre is approx. a 1.5 hour journey and again there are a number of trains throughout the day. www.nationalrail.co.uk for timetables and tickets. By Car: Glasgow city centre is a approx. a 2 hour drive and Edinburgh city centre is approx. a 45 minute drive. Please note that parking is limited in Dunbar but if you wanted to leave your car here for the duration of the trip then please ask if the accommodation has any parking facilities available. We suggest you book as soon as know your plans as the John Muir Way is extremely popular especially over April/May and July/August. August in Edinburgh is booked months ahead, and prices may be higher during this time (due to the Fringe Festival). Traditionally April/May has always been the most popular time of year for walking in Scotland because the theory goes that the weather is better. 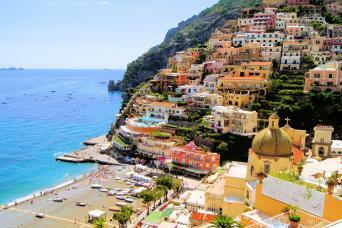 Although we believe any time between April and September offers a wonderful experience. 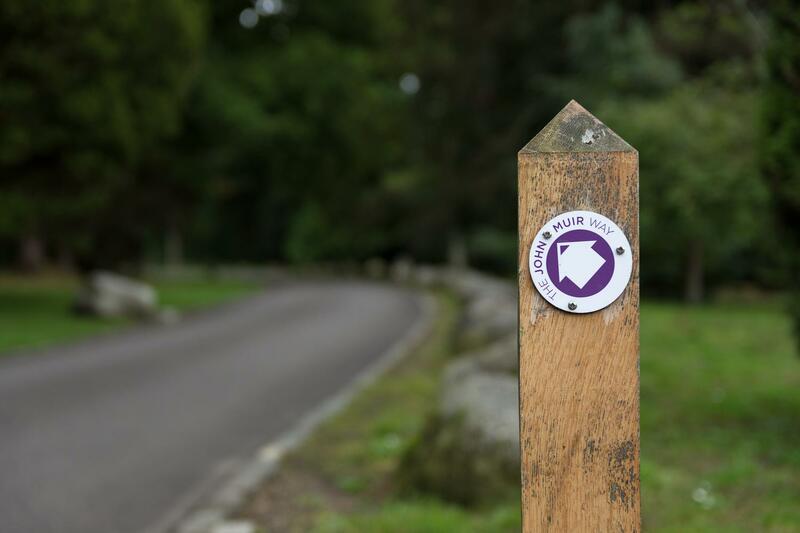 Enthuiastic long distance walkers will enjoy the navigation of one of Scotland’s newest long distance trails, which crosses from the west to east coast, via Edinburgh.